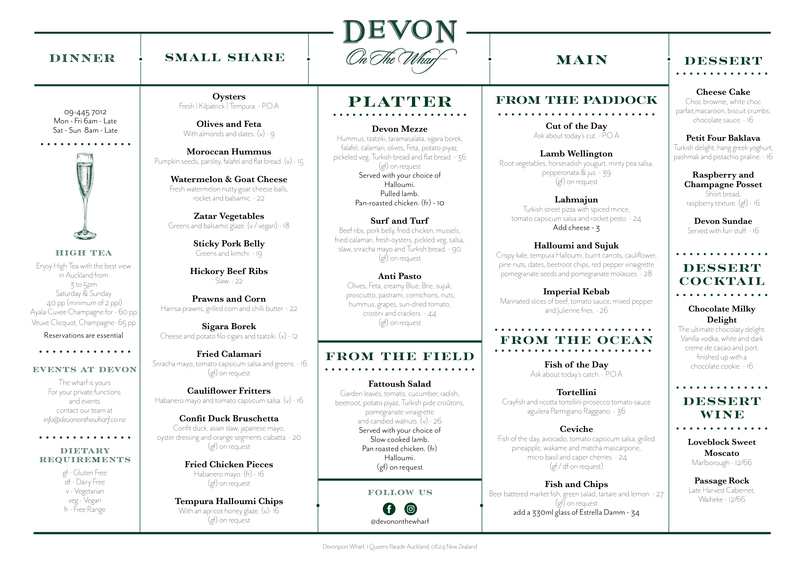 Devon On The Wharf is a little slice of heaven. 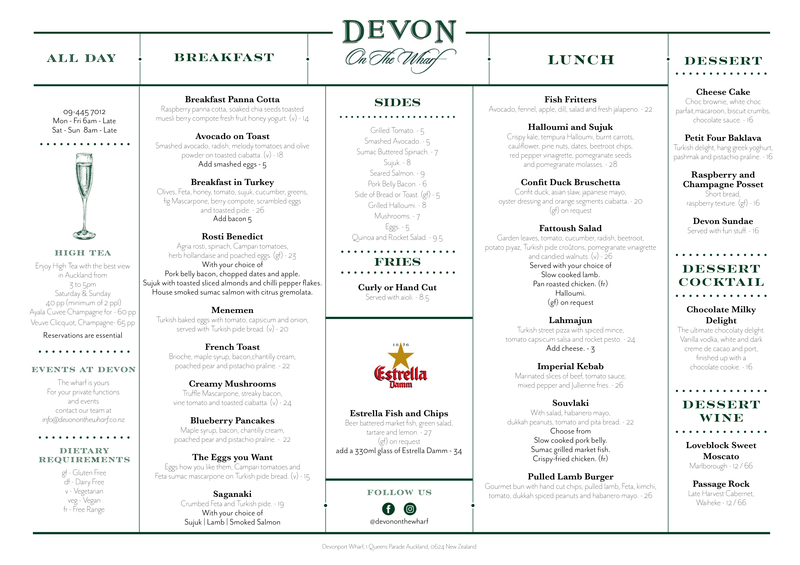 When you visit Devon, you'll find yourself in the taste of Mediterranean and Turkish cuisine, to which we lend our very own facets. Well-known flavors surprise here in extraordinary combinations. A 12 minute ferry ride from the heart of the CDB. Devon's waterside location has one of the best views in Auckland. With spectacular sunsets looking out towards the viaduct it's the perfect spot for pre-dinner cocktails, high tea filled afternoons, dinner for two or to host your next event. We can accommodate private dining, reception and cocktail parties or to seat 20 people and up to 40 people standing in our covered dockside outdoor area with views out to the water. Our covered outdoor dining areas seat 40 people with standing room for 60. These areas can be combined for larger groups. If you book the entire restaurant for the evening the bar is available exclusively for your use. We offer customised menus, live entertainment and help with planning your event down to the smallest detail. Start planning with us here or contact our events team on info@devononthewharf.co.nz for additional information and questions.